CHEAP AND DELICIOUS - 40 INCREDIBLE TIME AND MONEY SAVING MOUTH WATERING MEALS! 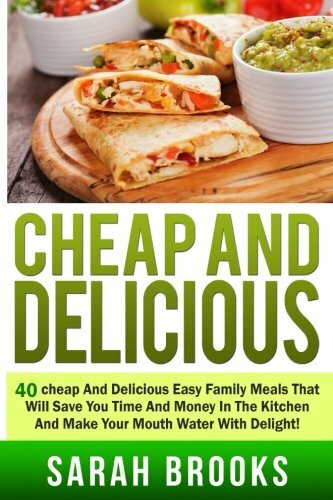 This "Cheap And Delicious" book contains proven steps and strategies on how to prepare meals that are easy on the budget but packs quite a punch when it comes to taste. There are many recipes out there that would enable you to make food for yourself and your family without needing to spend a lot of money. This also means that you need not sacrifice flavor and nutrition just to save a few bucks on your ingredients. You simply need the right recipe and a bit of smart shopping to get started.